Many believe that Medicare will cover the healthcare needs they have as they age, but there are substantial expenses above and beyond what Medicare pays that can have significant financial consequences for seniors. Many older Americans quickly realize they are on the hook to make up the difference for medical costs Medicare does not cover or pay for additional insurance to bridge the gap and then some. Americans 65 and older spend an average of 15K annually on healthcare, nearly three times what their fellow working-age Americans spend, and many are not in a position to afford it. Already scrambling to cover housing and transportation costs on a fixed income, the increase in healthcare expenses represent the tipping point for many seniors. 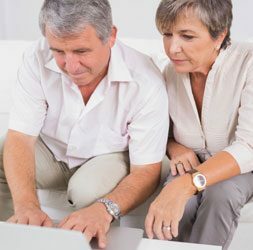 Not surprisingly, older Americans faced with reduced incomes and increasing healthcare costs are part of the ‘graying of bankruptcy’ that is sweeping the nation – already a fivefold increase in the percentage of older Americans in the bankruptcy system over previous decades which is expected to climb. Of course, seniors who are considering bankruptcy should weigh their options carefully. Depending on your income, you may be able to file a Chapter 7 or a Chapter 13 bankruptcy, both of which have pros and cons for older filers. For example, in Chapter 7, debtors can discharge much of their debt, however, if after years of paying your mortgage you have substantial equity, you will want to make sure homestead laws in your state protect the full value of your home. Another issue unique to senior filers is whether they collect social security or social security disability. Social security income is protected in a Chapter 7 bankruptcy and is not included in the means test to qualify. However, in a Chapter 13 bankruptcy, social security income is counted when determining a repayment plan. If you are a senior, bankruptcy protection may offer you a solution to a difficult financial situation but it is important to work with a knowledgeable and experienced bankruptcy attorney to determine the best strategy for your unique circumstances. We will gladly meet with you for a free consultation to determine the best options for your particular situation. Contact the Peoria Law Offices of Charles E. Covey for more information today at 309-674-8125.